Working at a new venue is always exciting. 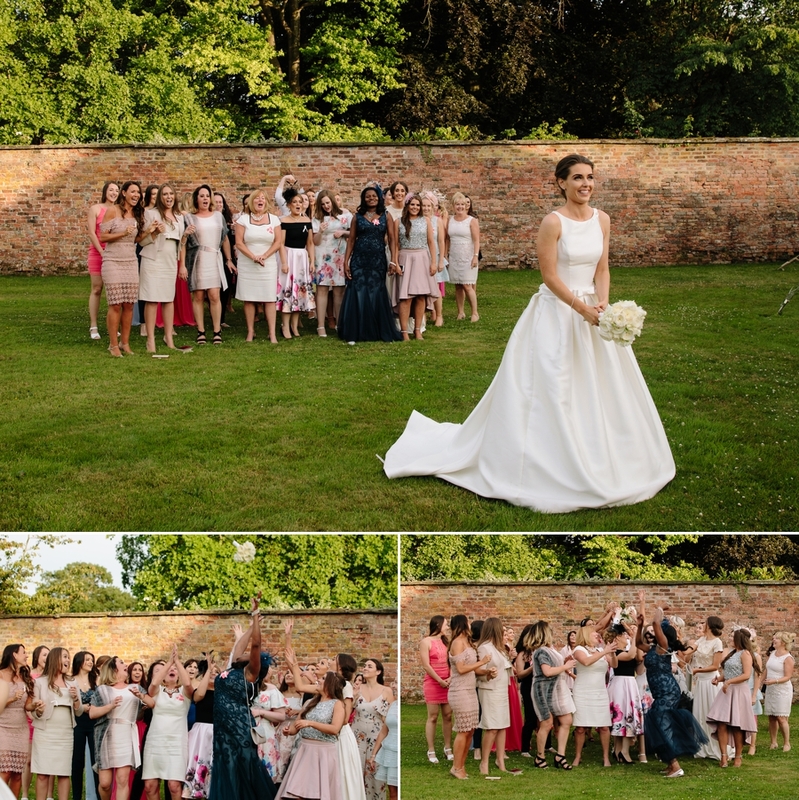 This was certainly the case when we photographed our first Dorfold Hall wedding for the lovely Triston and Amanda. 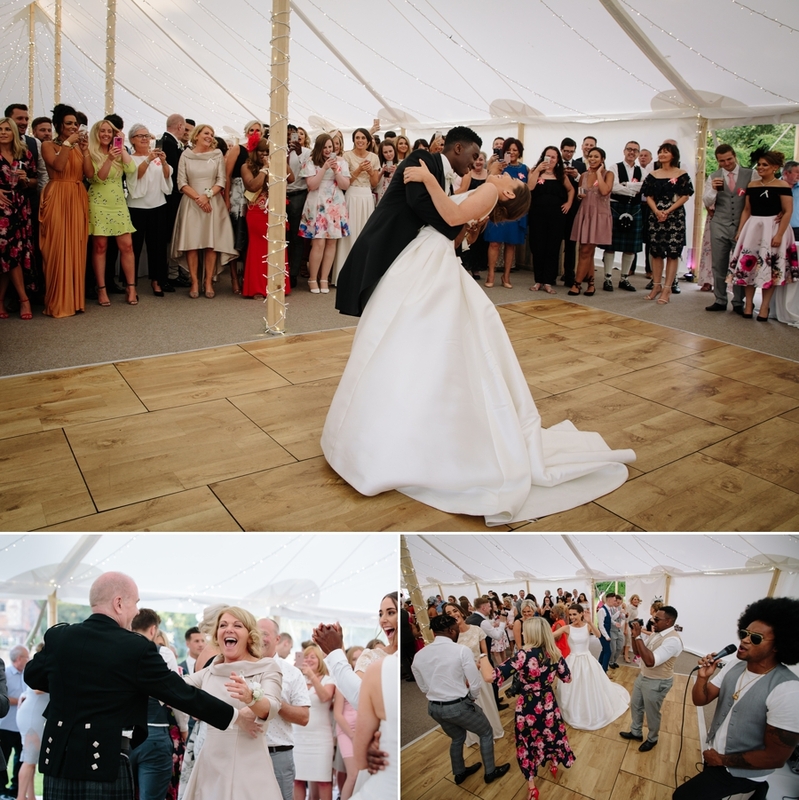 They chose a great venue for their gorgeous summer wedding. 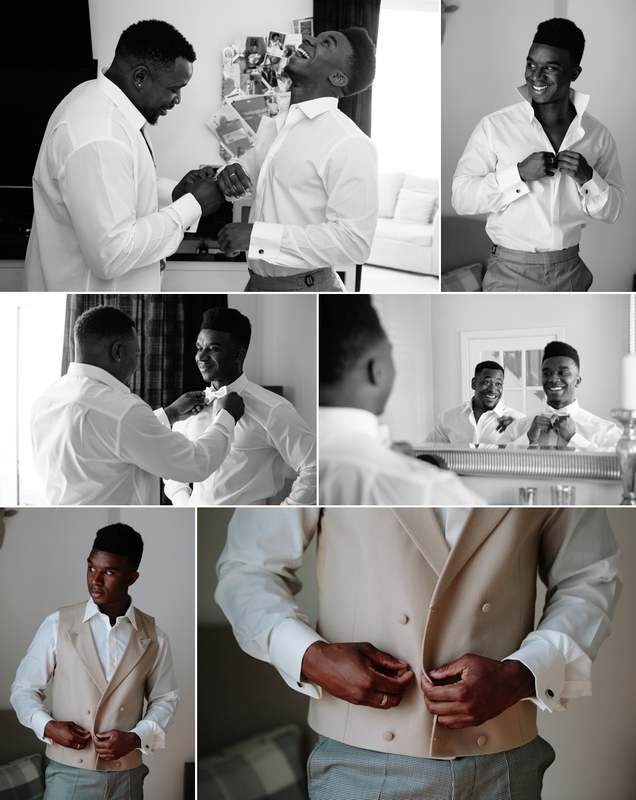 On the day itself we arrived early so we could get capture Triston and Amanda as they made their final preparations. 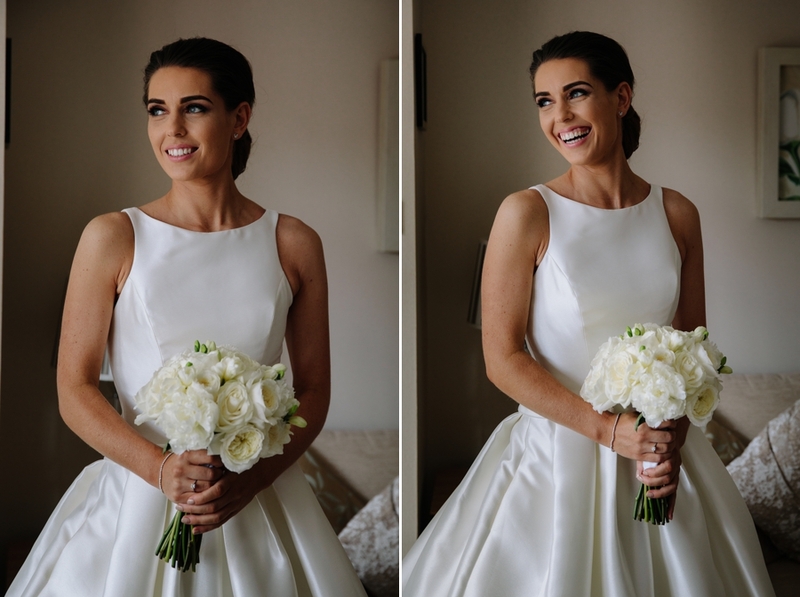 Amanda looked amazing in a simply elegant dress that gave her an effortless look of understated glamour and the most perfect silhouette for our portrait shots. Her bouquet was courtesy of The Little Flower Company, Sandbach. Bridesmaids were Amanda’s two sisters Joanna and Amy and flower girl was Amanda’s sweet 18 month old niece. 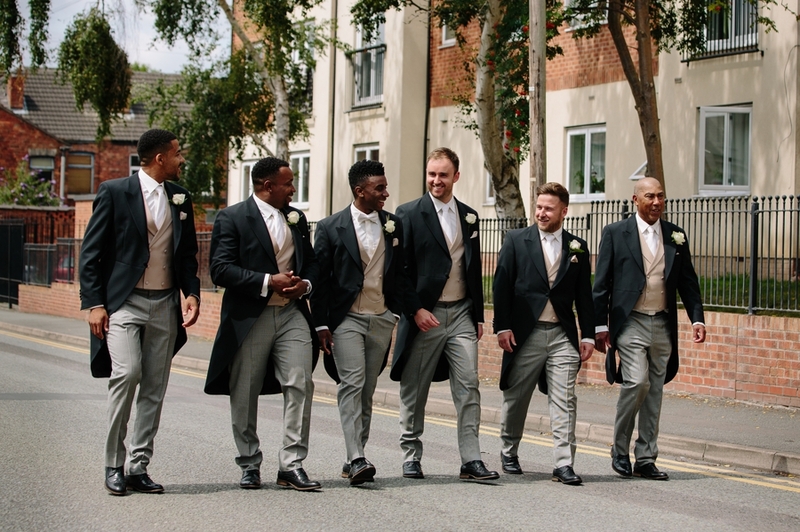 Triston treated himself to two best men, friends Nick and Bob with friends Andy and Christian performing the role of ushers. Amanda arrived in style with her father in a gorgeous vintage car. The ceremony was held at St Mary’s Church in Crewe. 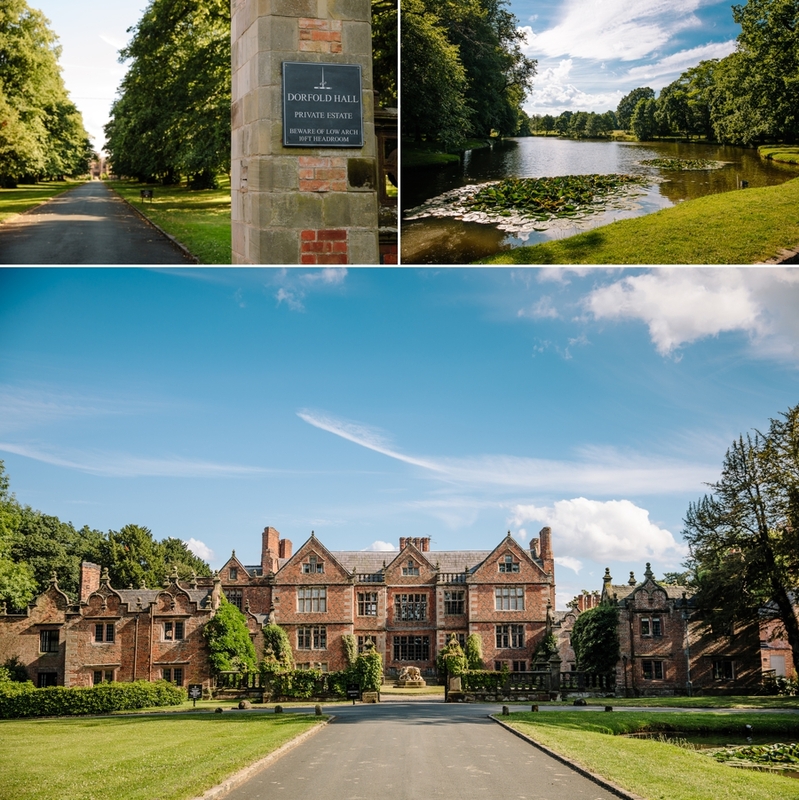 Which is recorded in the national heritage trust for England and is a grade 2 listed building. 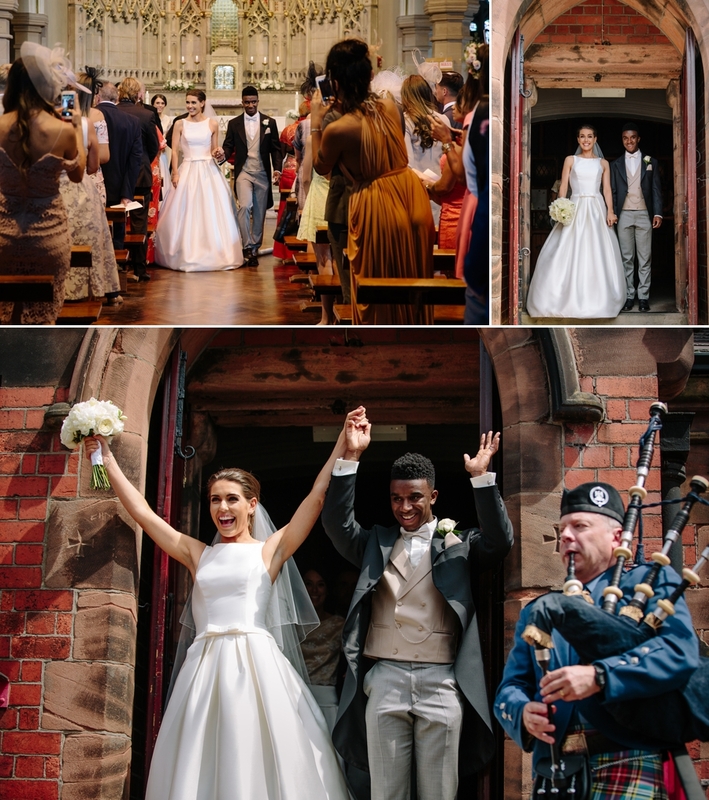 Triston and Amanda and their guests were greeted at the church by the playing of traditional bag pipes and Amanda entered the church to the song ‘Dance with me’ sung by Giovanna Baccelliere. St Mary’s has a beautifully ornate interior which gave us a stunning background for our shots of the ceremony. Then it was back outside for more traditional bag piping before everybody headed off to Dorfold Hall for the reception. 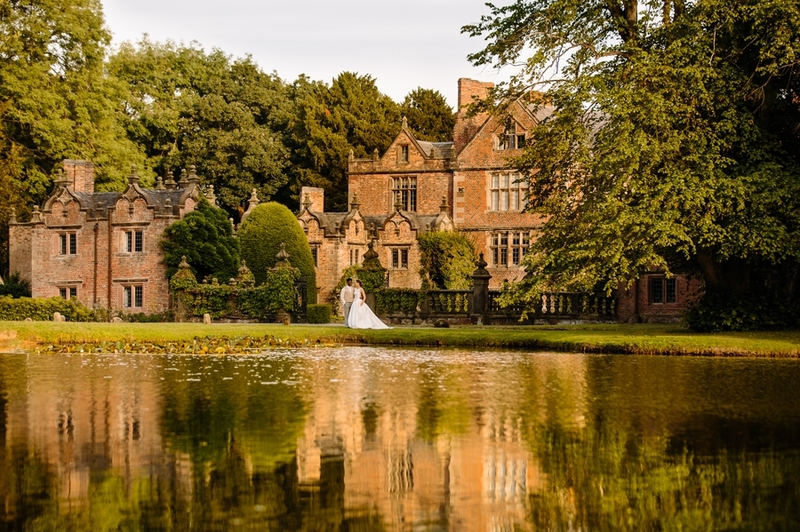 Dorfold Hall is a magnificent grade 1 listed Jacobean house built in 1616 and set in spectacular grounds. 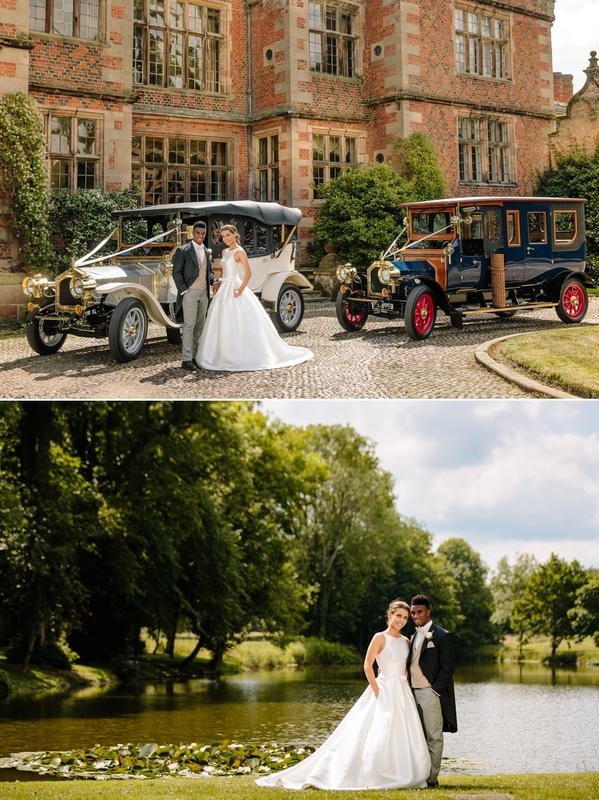 Newly opened for weddings in 2017 it is currently run by Charles and Candice who ensured a very warm welcome for our newlyweds and their guests. 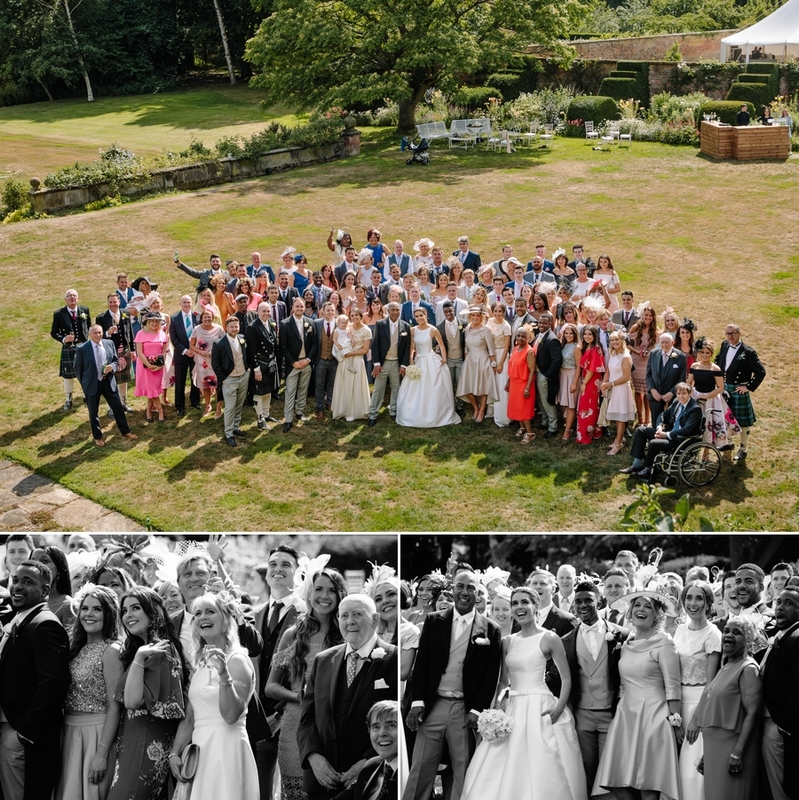 On arrival Amanda and Triston’s guests made the best of the glorious sunshine and enjoyed a drinks reception on the terrace accompanied by a Caribbean steel band. 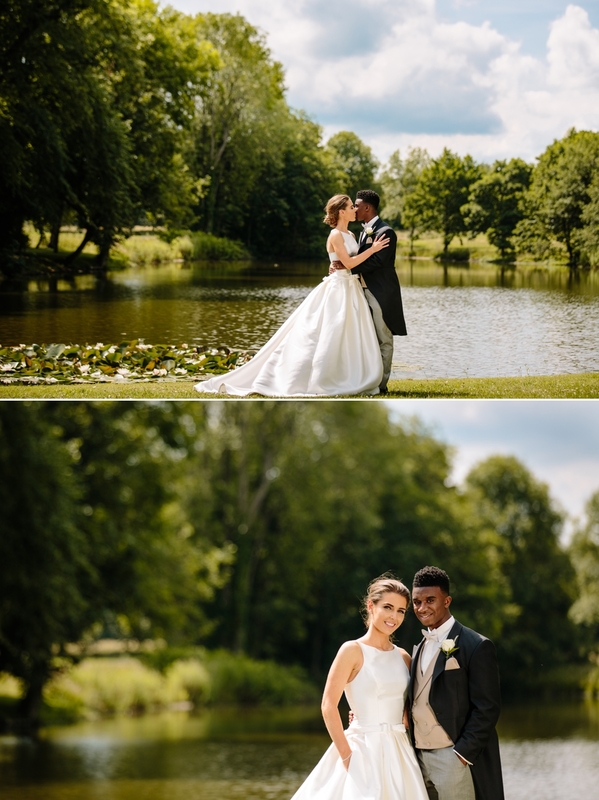 We took the opportunity to whisk Triston and Amanda for a quick tour around the grounds to get some stunning portrait shots. 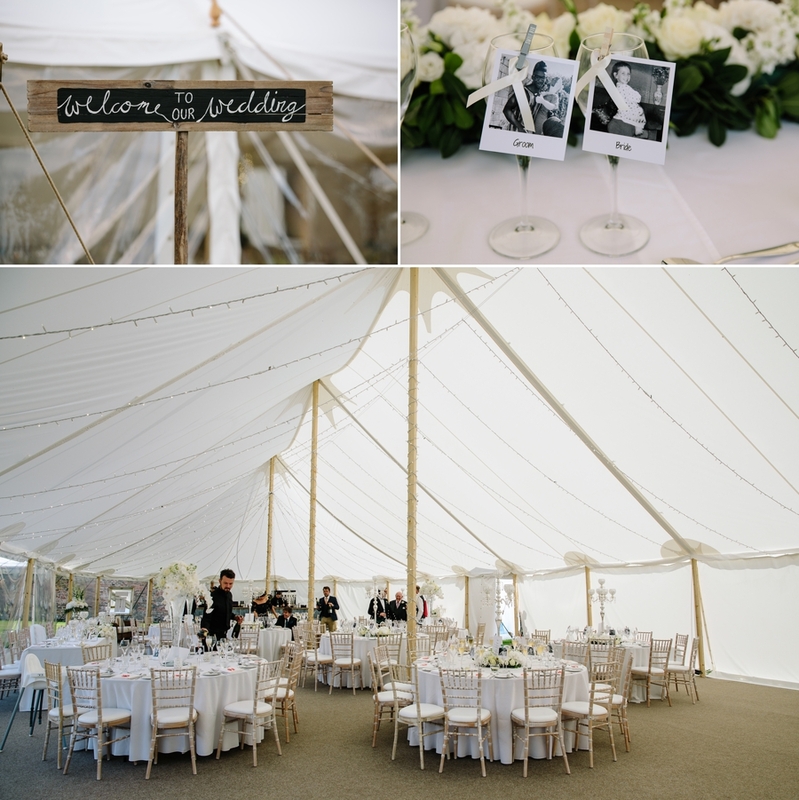 The reception was held in a marquee. Making the most of the beautiful setting and the sunshine. 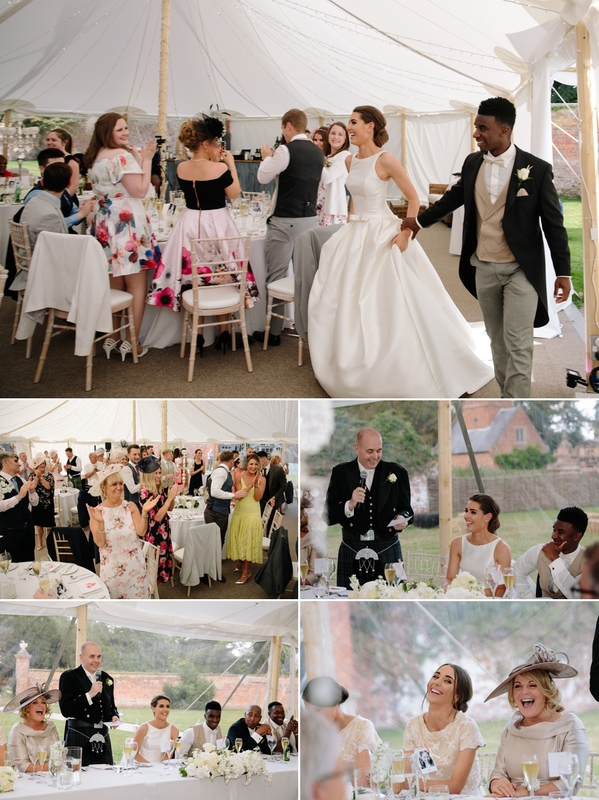 After Triston and Amanda received a rapturous welcome from their guests as they entered the marquee, there were some very well received speeches before the sumptuous wedding breakfast with catering provided by those clever people at The Fine Dining Company. 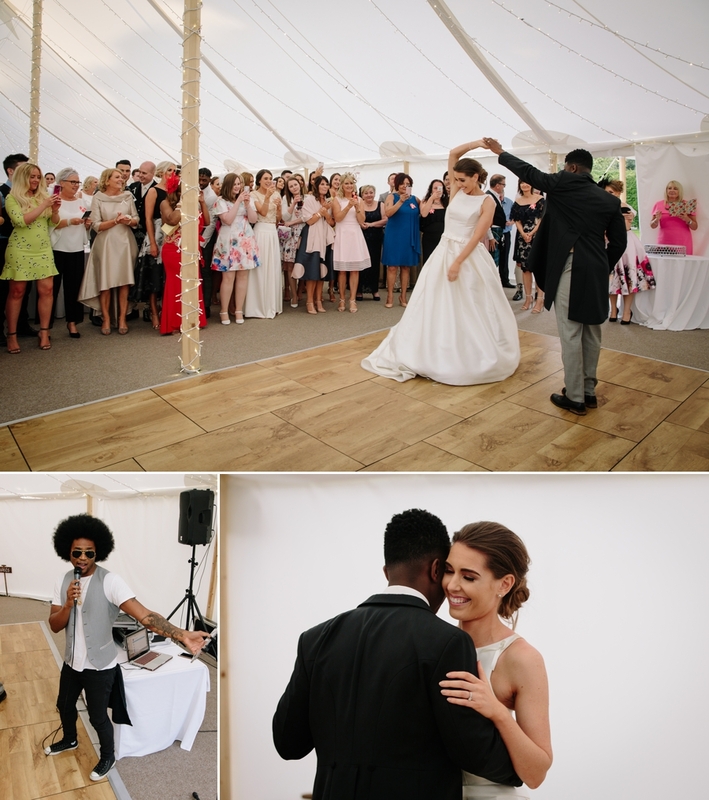 Evening entertainment included the very talented singer Mark Agyei along with DJ Ollie from Invite Events who between them ensured everybody was quickly up onto the dancefloor. 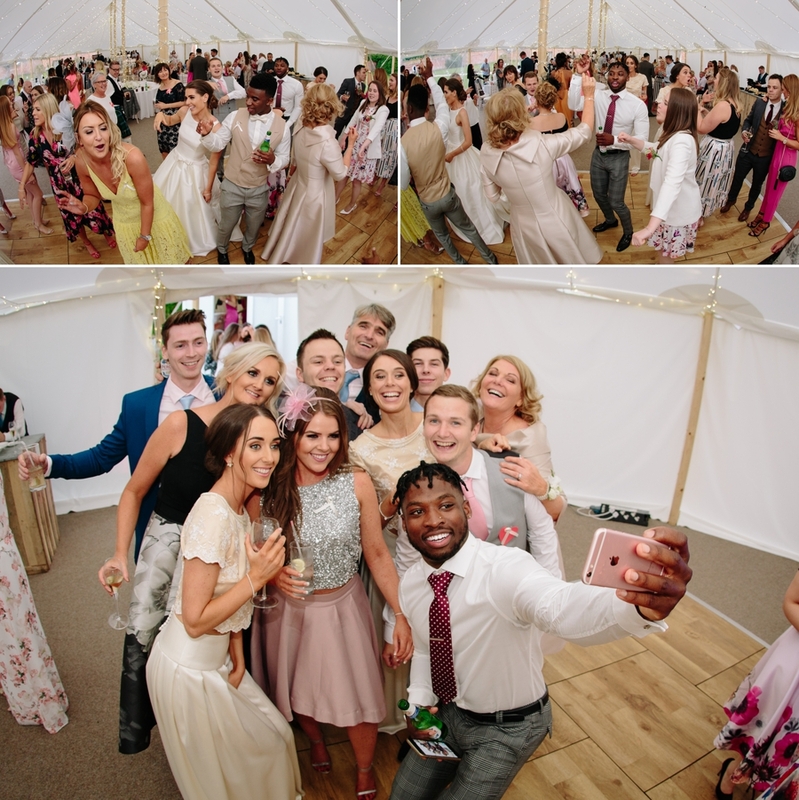 If that wasn’t enough there was much fun to be had with the ‘shoot it yourself video camera hire’ allowing guests to film their own take on the wedding. (Triston and Amanda will have hours of fun watching those!) 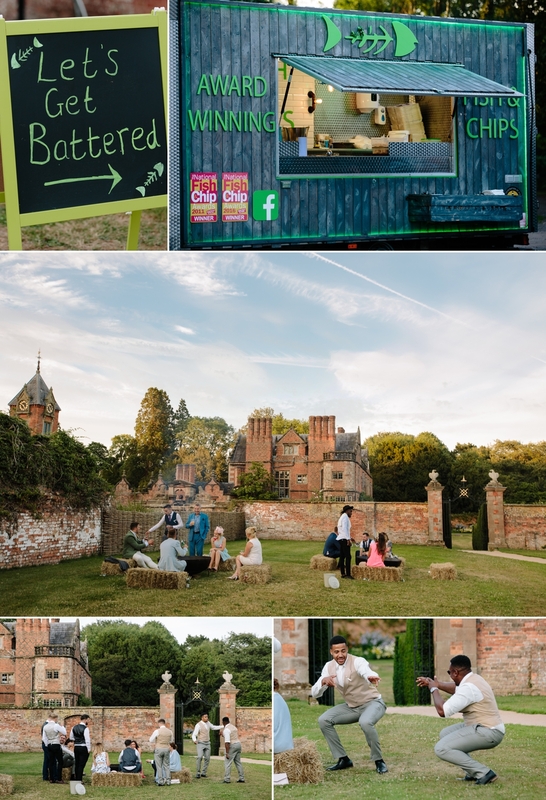 And to top it off there was a fish and chip van! This pair really know how to throw a party! 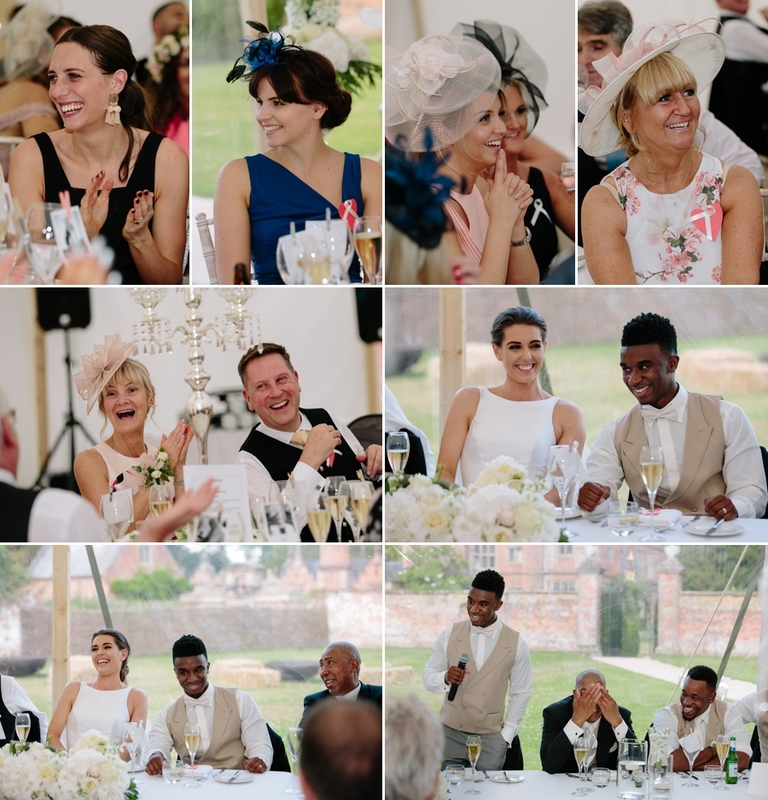 A gorgeous fun and stylish wedding for this fun and stylish couple. 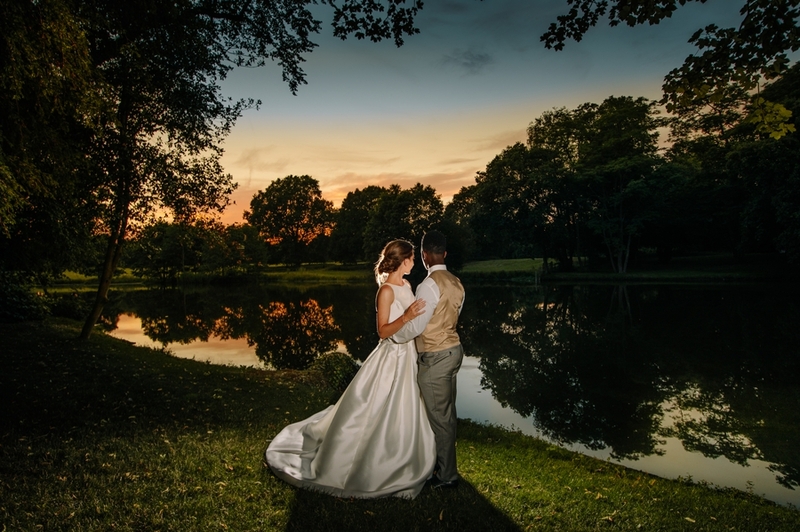 Congratulations to Triston and Amanda for getting married and allowing us to tell the story of your day. 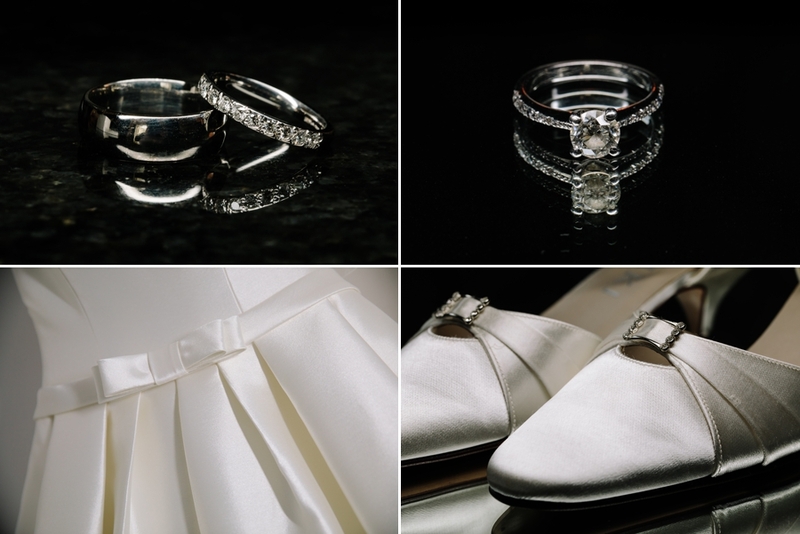 We hope our images will help you to relive it again and again for many years to come. 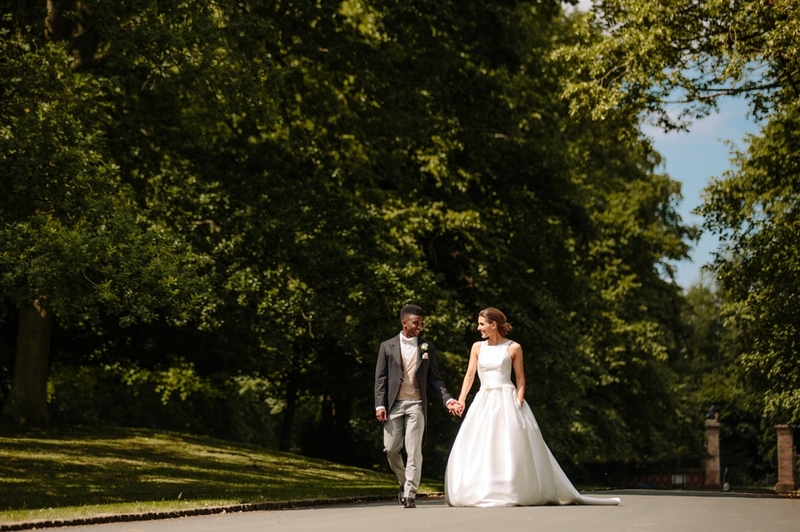 If you are considering holding your wedding or your wedding reception at Dorfold Hall then please do contact us – we would love the opportunity to discuss your wedding photography requirements with you both in more detail.